Only a Spider-Army can stop the end of the Multiverse! Meet Web-Slinger, the Spider-Man from the Wild West, in an unforgettable story by CULLEN BUNN (X-MEN BLUE) and JAVIER PULIDO (SHE-HULK). He is the Emissary from Hell, he is SUPAIDAMAN! 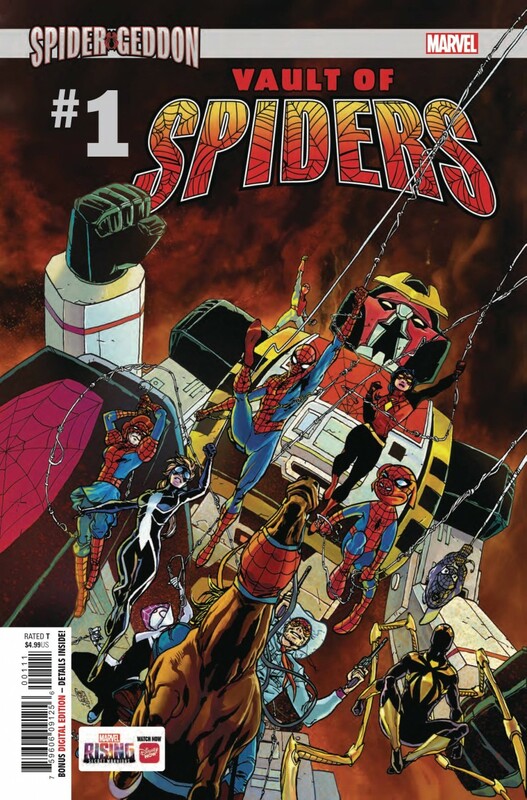 The Spider-Man from the live-action SPIDER-MAN show that aired in Japan in the 1970s is back in comics form in an insane story by JED MACKAY (EDGE OF SPIDER-GEDDON) and SHELDON VELLA (DEADPOOL, SPIDER-VERSE). And that’s just a glimpse into the VAULT OF SPIDERS!